When Radical History Tour was released in 1994, J Jackson (lead singer) and his friends had no idea how popular they would become. 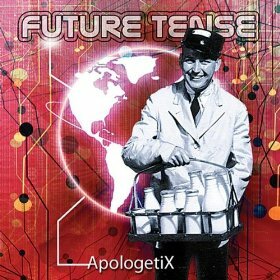 Nearly 10 years later, ApologetiX is one of the most well-known independent bands in Christian music, with thousands of fans all over the globe, as far away as Australia and New Zealand . 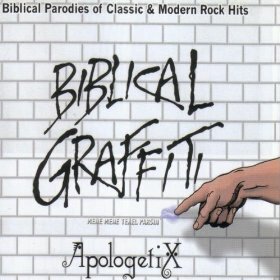 Although the lineup has changed over the past several years, the band's mission remains the same: Spread the word of God through parodies. 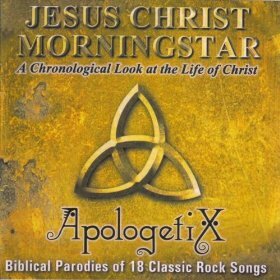 They take secular songs and rewrite the lyrics to glorify God. 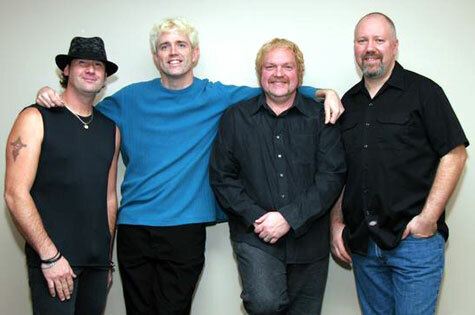 Some of their parodies include "Lazy Brain" (Crazy Train by Ozzy Osbourne),"Hotel Can't Afford Ya" ("Hotel California") by The Eagles, "Corinthians" (based on "In the End" by Linkin Park), "Look Yourself" ("Lose Yourself" by Eminem), "Smooth Grandmama" ("Smooth Criminal"originally by Michael Jackson but covered by Alien Ant Farm), "Smells Like Thirtysomething Spirit" ("Smells Like Teen Spirit" by Nirvana), "Sounds of Silas" ("Sounds of Silence" by Simon & Garfunkel), and "Bethlehemian Rhapsody" ("Bohemian Rhapsody" by Queen). 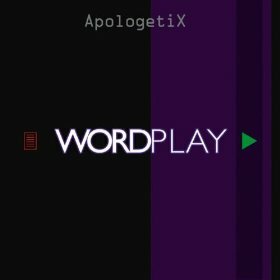 ApologetiX gets their unusual name from the word "apologetics," which is a reference to a famous defense of the Christian faith - knowing what you believe, and sharing it with others. Since 1997, they have released one CD almost every year. The more parodies they made, more people heard their parodies and liked them. Their concerts truly show the band's impact. The crowd is as diverse as the music, with fans ranging from 10-year-olds to 50-something adults. Whether parodying the song "Stacy's Mom" by Fountains of Wayne("JC's Mom"), "All Star" by Smash Mouth( "Pray Now (Lost Art)" or even "Jailhouse Rock" by Elvis ("Jail Got Rocked") on their New & Used Hits (2004), Jackson has no regrets that he isn't writing any original songs...when there are literally hundreds of parodies already written that the band wants to record. The five members of ApologetiX: Bill Rieger, Bill Hubauer, Keith Haynie, Karl Messner and Jackson are using songs to drive home their purpose - Songs designed not only to feed a heart of laughter, but a soul of need.